Domestic Angles is a home cleaning agency that provides regular house cleaning in Bentleigh. We organise experienced, professional cleaners for regular home cleaning be it on a weekly, fortnightly or monthly basis. If you are too busy or stressed out to do keep your house clean then let Domestic Angels take care of it for you. To book a clean or request more information about our domestic home cleaning services, call the team at Call Domestic Angels House Cleaning Bentleigh on 0432 628 335. Our Bentleigh house-cleaning clients love the fact that we organise everything. From the moment you call us our team go into action to find the right domestic cleaner that best matches your requirements. Our cleaners have years of experience in domestic house cleaning in Bentleigh and all of them provide a very high standard of cleaning. In fact we often get compliments from new clients about the high attention to detail our cleaners provide. If you are looking for house cleaners in Bentleigh then Domestic Angles House Cleaning is the company to call. Our team of professional home care service attendants will talk with you about our various options and cleaning prices. We'll also help work out the best cleaning schedule for you, one that fits in with your budget and lifestyle. Our Bentleigh cleaners prefer to use your cleaning equipment and products, mainly for hygiene reasons. We used to get our cleaners to supply their own cleaning equipment but these days it's best practice to use yours. If this is an issue for you please speak to one of the team and we'll source a solution. Beware, not all house cleaning Bentleigh cleaners are the same. We are not a cleaning franchise that has simply sold a cleaning business opportunity. 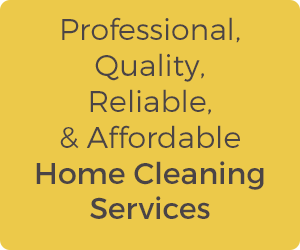 All our cleaners are vetted and selected based on their cleaning experience, trustworthiness and reliability. You will not find a more dedicated and reliable cleaner in Bentleigh.